Well done to Stuart Michie of 2TH and his younger brother Grant. 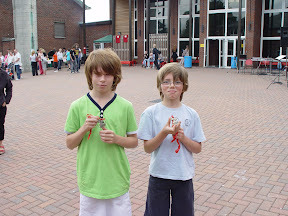 Stuart and Grant took part in the recently held Link Road Race and asked family and friends to sponsor them. They have kindly donated the fantastic sum of £50 to FOLA125. Thank you very much Stuart & Grant. Why don’t you join Stuart and Grant in the fundraising fun?